Norris builds butterfly valves to stay on stream longer. But, because elastomer parts tend to deteri- orate or harden with use or exposure to certain media, eventually your Norris valve will need repair. 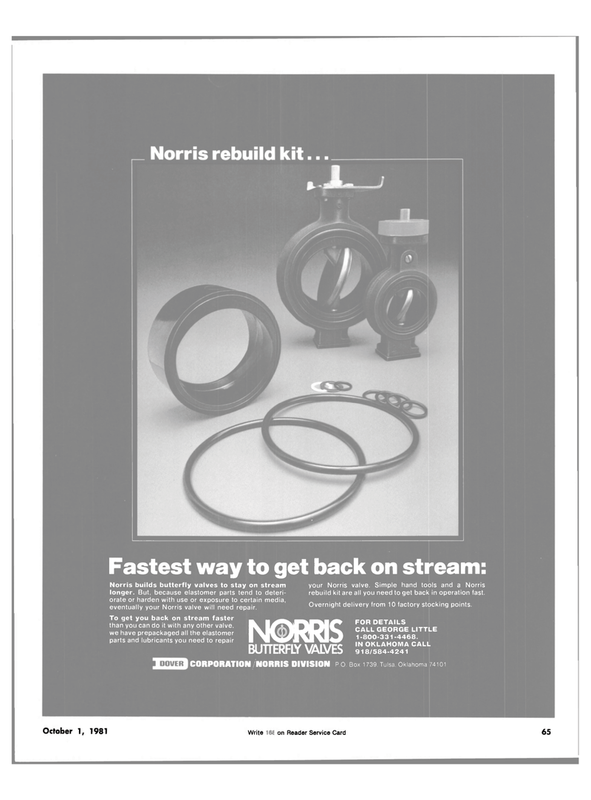 To get you back on stream faster ^^ than you can do it with any other valve, we have prepackaged all the elastomer • ^LBRQX parts and lubricants you need to repair I ^I^IP your Norris valve. Simple hand tools and a Norris rebuild kit are all you need to get back in operation fast. Overnight delivery from 10 factory stocking points.